During my Waldorf Teacher Training at Sound Circle Center, I focused on Early Childhood. In Waldorf, Early Childhood essentially means the first seven years of a child’s life. However, Rudolf Steiner did not lecture much on ‘educating’ children under the age of Kindergarten because, at that time, children stayed home until going off to school at the age of 6 or 7. Today this is not the case, children are often leaving the home as early as 6 weeks of age to be cared for by someone other than their mother. I am in no way criticizing this new trend, as we all make the best choices for our family that we can, but now that this is becoming the norm, I knew that I wanted to find a way to bring Waldorf Childcare to the earliest of ages. This is how I discovered the work of Magda Gerber and her RIE methods. The book, The Child from Birth to Three is a good read as it seems to combine these two philosophies. Rudolf Steiner, creator of Waldorf Education, spoke equally about protection and independence when lecturing about the first seven years of life. As caregivers and mothers, our presence around the children, down to our very thoughts, could have a calming and beholding manner. When we work with and address the children, we do so with a respectful, peaceful way. Rhythm and routine are of great importance when entering the world as, according to Steiner, it helps the child develop a healthy sense of life. He speaks of a ‘breathing rhythm‘ where we spend quality time with our children and then let them go off and explore on their own in independent, self-directed play. Magda Gerber shares these very concepts in her book Your Self-Confidant Baby. The respect of the child in how you address them and communicate with them in a respectful manner. Being present and attentive when you are with your children and then letting them discover their independence when they are on their own. Gerber speaks of routine giving small children ease of mind knowing what to expect in their day. She too speaks of spending quality time with your child during feeding, changing and other care times and then letting them be on their own to discover the world in self-directed play. In this article, Two Streams Entwined by Trice Atchison, she shares her thoughts on how RIE and Waldorf are related to one another. I like where she speaks of independent play. “There is a need for a greater understanding of the difference between inappropriately pushing the child toward independence and what Pikler and Gerber intended in their caregiving model: sharing in the child’s joy of movement and self-mastery, which means remaining aware and respectful. Celebrating the development of independence is not the same as leaving the child alone or unassisted.” I feel that in Waldorf and in RIE the concept of independent play IS a little controversial, especially when it comes to babies. When, with both philosophy’s it is about letting a child discover the JOY of independence in the world. Atchison does such a good job of sharing how the ‘streams entwine’ when she discribes how “Rudolf Steiner, Emmi Pikler, and Magda Gerber all recognized in babies and toddlers the awe-inspiring process of growth and development that takes place during the first three years of life. During this brief time, the child’s organs are still forming and she learns to roll, sit up, crawl, stand, walk, speak, and think. She is becoming herself.” Steiner, Pikler and Gerber all recognized the great importance of coming into ones body and we, as adults, must give respect and space to allow to this process to unfold. There are already a few centers that care for children with both philosophies in mind, though they are still limited availability. Two great examples are Awhina in New Zealand and Sophia’s Hearth in New Hampshire. It is of course a dream of mine to bring one such center to Portland, OR. I run and infant program in my home in Sacramento, CA and have studied Waldorf education for over 30 years and RIE for 10 years now. I do not find them synonymous, but rather they work well together. Many Waldorf EC people in Europe take the Pikler training, and more and more Waldorf EC people in the US are finding the RIE trainings. RIE and Steiner philosophies are like two hands that are folded together. Each hand can do so many things and carries much wisdom, but each is very different from the other, but can fold so nicely together. Very beautiful metaphor. Thank you for sharing Simone. What is the name of your program? I’m always interested in the Waldorf Early Childhood programs that are offered here in the US. Since becoming a grandparent and parenting blogger I have become familiar with RIE and “attachment parenting” in much greater depth than I was as a social worker/nurse specializing in parents and children. However, I was not aware of Waldorf Teacher Training until reading your informative post. I like your blog. I feel the same way you do about the importance of the relationship between parents and children. Thank you. :) It is always nice to know there are other mothers (and grandmothers) who have similar thoughts when it comes to the relationship dynamics in a family. I am also very happy when someone is introduced to Waldorf and it’s beautiful philosophy. Great article and I wanted to let you know about LifeWays, a training for those working with the very young child in home and nursery settings. We are inspired by Waldorf education and the work of Rudolf Steiner and RIE!! Simone, whose comments are first on the blog, is one of our teachers in the California Coast LifeWays Training. Have a look at our national website http://www.lifewaysnorthamerica.org. We are very much like the two hands folded together, as Simone so beautifully describes. There is a LifeWays training in Vancouver!! Thank you. LifeWays training in Vancouver is certainly closer than the RIE training in New Hampshire. I think that the Sound Circle Center actually started as a LifeWays training before expanding into Foundation Year and Teacher Training. Just a little correction. Sound Circle was not first a LifeWays training. At one time we were considering having a LifeWays training as part of Sound Circle, but the timing was not right. They are their own independent Waldorf Teacher training. Cynthia, Thank you for clearing this up. I did wonder, why is it that there is no Foundation year for LifeWays? Or is there? I wonder what it would be like if LifeWays and the EC Teacher Training program would come together. Sydney, there is also a LifeWays training beginning in Portland, OR in April. It would be a great way to realize your dream of opening a childcare program in Seattle! Oh! I forgot to update. I’m actually in Portland now. I am a certified Waldorf EC teacher as I have taken the full training. I wish I could do the life ways training to add more to my education, but I am due to have another baby in April. :) I did see that training though and it peaked my interest. Which 2 approaches? RIE and Waldorf? Me too. Perhaps some of the other lovely ladies can help fill in the gaps. I’m guessing one thing is the spiritual foundation of Anthroposophy. I have been reading your blog for awhile. I am also a Waldorf teacher who is now (mostly) a stay at home mom with my two little boys. I wrote a blog post about respectful redirection, which is one area where I think RIE and Waldorf appear to differ, but in reality they don’t really. I am sure there are others who have more to say about it, but I think the two schools of thought intertwine more than they differ. Actually I’m not sure how to post the link correctly, but you can find it by copying and pasting. Anyway, I enjoy reading your blog and seeing where you are at with your parenting journey. I live in Portland too, but the Maine one. Thanks for your response and for sharing the post! I write the blog for our Waldorf , so it is more general information about Waldorf and parenting and less of my personal experience. I have been inspired by reading your blog, and others that deal more directly with real experiences. It’s such a gift as a mom to be able to connect with folks in distant places around parenting support! Have you heard about Montessori? Dr. Montessori originally worked with 3-6 yo children whose parents were day workers, and offered them a bunch of different toys and materials to see what they liked and could do. Everything that has been kept in the “curriculum” was tested and chosen by thousands of children. In coordination with the developing independence, Montessori “guides” (teachers) help the child connect with materials, and then let them explore the materials in order to learn from them. Montessori specifically designed many of the materials to embody scientific concepts that the child discovers naturally through his play/work. A great Montessori website for birth to three is http://www.aidtolife.org. I have heard of Montessori. I actually find that there are GREAT sensory activities for small children that are not talked about as much in the Waldorf Early Childhood Training. Many more useful tools as well. I find that the more we work within other teaching philosophies, the more rich we can make the early childhood experience. Do you think so? I would like to thank you all for so much useful information. Thank you for making this such a rich topic that I’m sure I will come back to; bringing in Montessori and LifeWays as well. I always liked the way the RIE and Waldorf focused on respect, fostering creativity, and recognizing the uniqueness of this time in a child’s life. Waldorf has always appealed to my love of nature. I think as a society we become more educated in our parenting decisions we question the norm and what we know. I am not sure if I ever was AP, but more so with my first than second, and I know I was more developmentally focused with my first than others. Parenthood is a journey and an evolution, as is becoming a teacher. As we grow, so too do our beliefs and philosophies. I get confused is the emphasis in RIE on talking so much to tiny babies and children…my initial understanding of Waldorf in the early years was that one should talk less, and teach through doing, for many reasons I am sure you are familiar with, including not being too awakening of the consciousness. What do you think of that? I agree actually. I have really been working with this and trying to find a balance between good communication and a nice quiet atmosphere. I talked to my first a LOT and he IS very awake. The next one I hope to have a better balance. I an a WECAN. Member site and a RIE Associate doing Infant care in my home combining these methods in my own unique way…very fantastic! I live in Sacramento, CA. 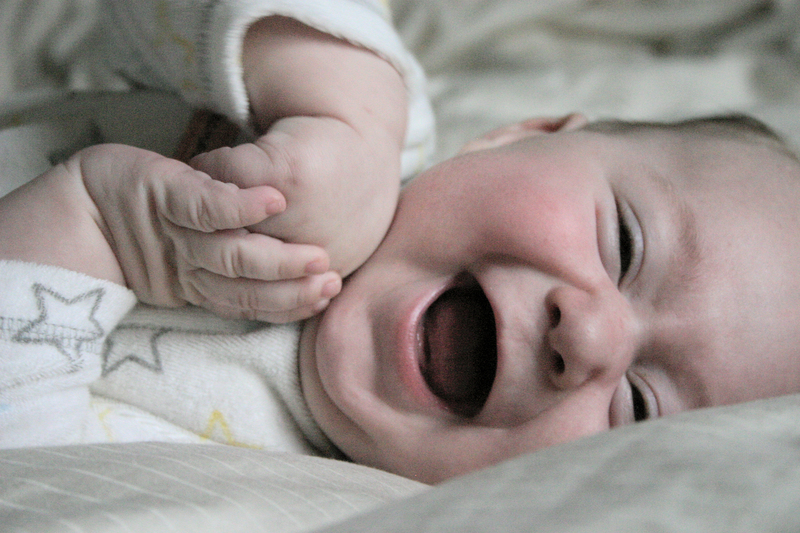 Next Next post: Newborn Sleep CAN Happen: How I helped my daughter learn to self-soothe.